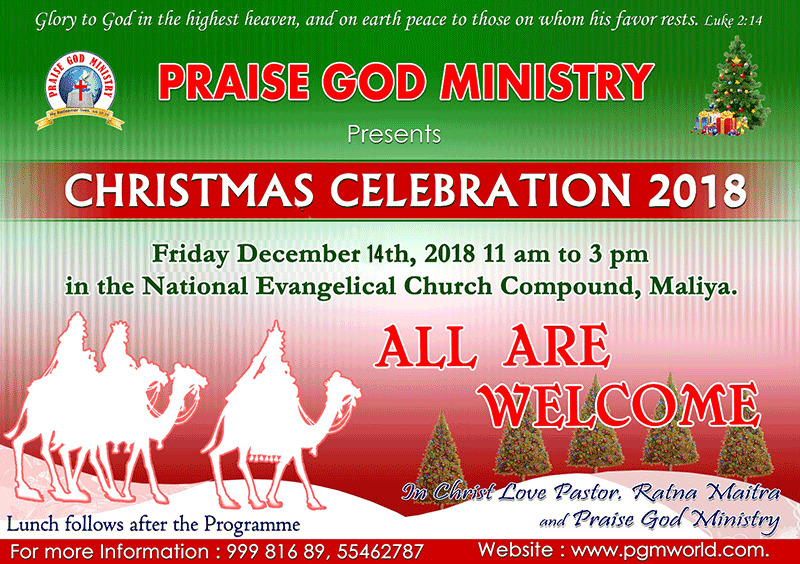 Praise God Ministry organizing Christmas Celebrations 2018 on Friday 14th December 2018. The programme starts at 11 am to 3 pm in the National Evangelical Church Compound Maliya, Kuwait City. The event comprises with a lot of fun and activities such as Skits, Soulful and delightful songs by the Choir group, Sunday school children dance performance. We invite one an all to join and celebrate the feast. Lunch will be open for all.